Boline knife for harvesting. Made of solid bronze, both handle and blade. 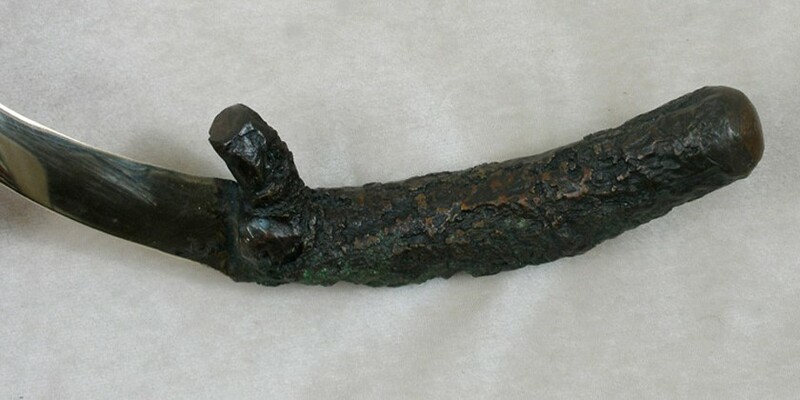 Handle is an actual casting of a branch, colored dark brown. Knife has weight and fits comfortably in the hand. Each knife is hand-made to your specifications, with many options available.